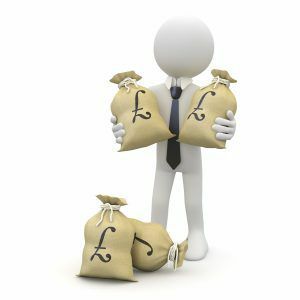 Those with even a passing knowledge of the Employment Tribunal system will have been well aware of the fee regime, introduced by a parliamentary Order in 2013. Type A claims (for example; statutory redundancy payments, unlawful deductions from wages and breach of contract) required a “claim/issue fee” of £160 and a “hearing fee” of £230. Type B claims (for example; unfair dismissal, discrimination and whistleblowing) required a “claim/issue fee” of £250 and a “hearing fee” of £950. The introduction of the fees resulted in the number of claims being lodged across the UK dropping by 70%. Although figures aren’t available for regions, including; Inverness, Highland and Moray, the drop has been at a similar level Scotland wide. Unison had previously brought appeals in the High Court and Court of Appeal, before proceeding to the Supreme Court. The Principal grounds of appeal were that the fees regime prevented access to justice and were indirectly discriminatory. Lord Reed, in delivering the main judgment of the Supreme Court, confirmed that a fee based system was not unlawful in principle. The government’s objectives, for example; transferring the cost burden to users, incentivising earlier settlement and deterring spurious claims, were legitimate. However, given the dramatic fall in the number of claims, it was clear the level of fees had created an effective barrier to justice. On this basis the fees regime was rendered unlawful and was also found to discriminate against woman. The discriminatory finding was on the basis that a higher percentage of women raise such claims and the higher fee levels therefore disproportionately impact this group. The overall findings were also in spite of the fact that a “remission” system has been in place meaning those with low income/savings levels would not necessarily require to pay a fee. The government has been quick to support the Supreme Court’s ruling. Justice Minister, Dominic Raab, immediately announced that the government would stop taking fees and would begin a process of reimbursing all fees paid since introduction in 29 July 2013. It has been reported that fees have raised about £32 million pounds since they were introduced around 4 years ago. It is clear the process of reimbursing fees will be administratively complicated. This is particularly in respect of claims which involved (for example) multiple claimants and where, upon a claim being successful, the opposing party required to meet the fee. In the longer term, it is unclear whether the government might seek to implement an alternative fee system which is more affordable. However, given the Scottish Government’s commitment to abolish fees – upon the planned “Smith Commission” full devolution of the Tribunal system – a fee revival seems unlikely north of the border. One issue which many commentators have been keen to point to, is the fact that the short time limits for Tribunal claims to be brought – usually 3 months (less one day) – are not always absolute. Depending on the type of claim, it is possible to make arguments for such time period to be extended, either on a “just and equitable” or “not reasonably practicable” basis. Given the Supreme Court’s comments, it would seem perfectly possible for relevant arguments to be made, on either a reasonably practicable or just and equitable basis, for otherwise late claims to be raised, now that such “cost barrier” has been removed. We will be sure to keep our clients, particularly in Inverness, the Highlands and Moray up to date with further developments but this is certainly a significant decision which may prove to tilt the scales back toward employees.